(NaturalNews) The Environmental Protection Agency has been involved in numerous scandals, cover-ups and general misdeeds over the past few years, but one of the agency's most egregious recent actions went nearly unnoticed by the media and the public. For example, the EPA's mishandling and subsequent cover-up of the Gold King Mine cleanup disaster, which poisoned hundreds of miles of waterways in three states, has been reported on – particularly in alternative media sources. Reports of the agency's role in the ongoing Flint water crisis have also been in the news, of course. But when the EPA quietly raised "acceptable" glyphosate limits in fruits and vegetables to extremely high and toxic levels, no one in the press paid much attention. The raising of acceptable glyphosate limits actually happened in 2013, and the fact that the public never heard about it is evidence that corporations like Monsanto – which produces the cancer-causing glyphosate-based Roundup herbicide – actually do have a major influence over what gets reported in the news. It also proves that the EPA has been bought by Monsanto. The agency does whatever the GM industry giant tells it to do. "The rise in tolerance levels for glyphosate residue came as a result of a petition prepared by Monsanto in early 2012. 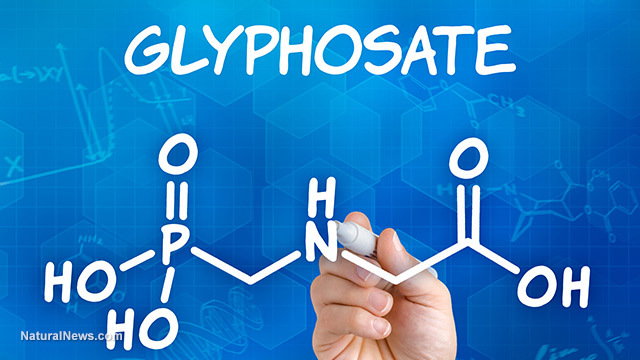 While FDA did not perform independent tests on whether higher residue levels of glyphosate were dangerous to humans or the environment, it relied on tests and data provided by Monsanto." "Regulation raises glyphosate levels in oilseed crops, which include sesame, flax, and soybean, from 20 parts per million (ppm), to 40 ppm. It also raises the allowable glyphosate contamination level for sweet potatoes and carrots from 0.2 ppm to 3 ppm for sweet potatoes and 5 ppm for carrots, that's 15 and 25 times the previous levels." It seems almost unbelievable that a corporation would be allowed to petition the agency for such a change in regulations, while also being permitted to provide the test data the agency bases its decisions on. But that's the way things work in America these days. The regulatory agencies are owned – and usually staffed – by the very industries they are charged to regulate. That's why unlabeled GM foods are everywhere in the United States, while much of the rest of the world has successfully banned GMOs. That's why people are being forced to receive unsafe vaccinations. That's why cancer is an industry. And not only does the EPA take its cues from corporate interests, it operates as if the agency itself is above the law. When the agency makes giant mistakes such as the Gold King Mine disaster or the Flint water crisis, no one in the agency or the companies it contracts are punished. Meanwhile, the EPA aggressively pursues legal action against others who are responsible for similar environmental offenses. In 2015, for example, the agency was instrumental in sending 185 Americans to prison for environmental crimes. "By 2007, glyphosate was the most widely used herbicide in US agriculture and second most widely used herbicide in the home and garden sector. In that year, the agricultural sector applied 180 to 185 million pounds, the home and garden sector applied five to eight million pounds, and industry, commerce and government applied 13 to 15 million pounds of glyphosate." Monsanto is losing its grip on the market; people are waking up; the company has been forced to lay off around 16 percent of its global workforce as its profits shrink and more countries join in the ban against GMOs. But much more needs to be done here in the United States. One of the most effective steps would be to enact the wholesale reform of regulatory agencies such as the EPA. The EPA must begin living up to its name, and actually start protecting the environment, instead of corporate interests.